This 31-round Magazine is made from Dupont composite/glass-filled polymer and features a stainless steel spring. 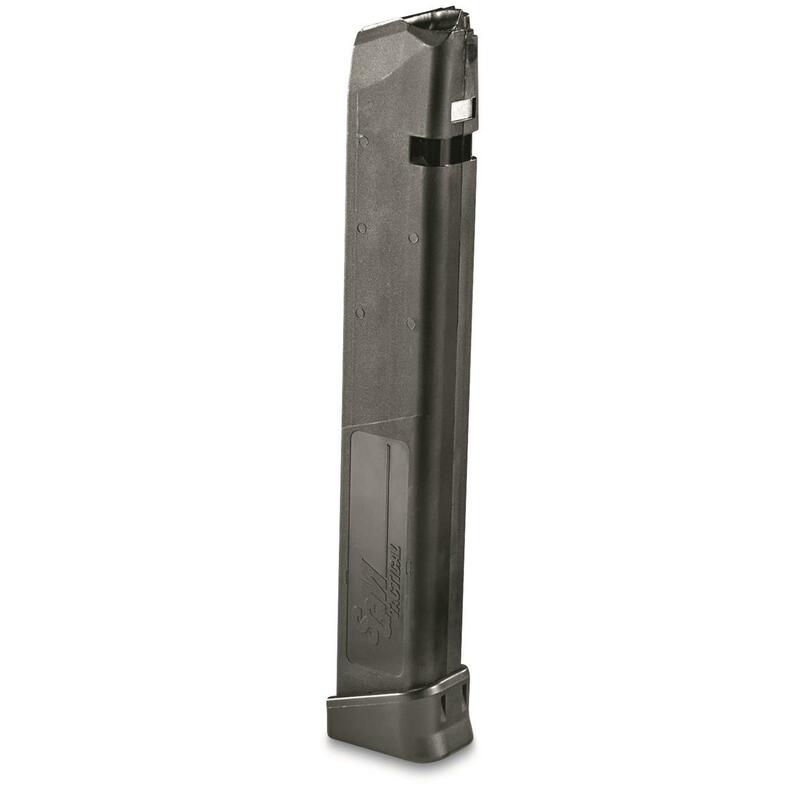 Magazine fits all Glock 22, 23, 27 and 35 pistols chambered in .40 S&W. 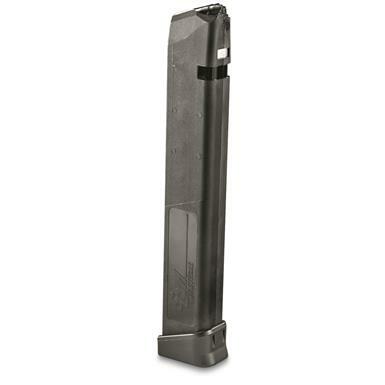 SGM Tactical, Glock 22/23/27/35 Magazine, .40 S W, 31 Rounds is rated 3.0 out of 5 by 8. Rated 5 out of 5 by Jay1 from Made Well and Look goog Works with all my 40s will buy more easy to load don't let the fanboys talk you out of getting a few. Rated 1 out of 5 by Jim W from Totally unreliable Turned my Glock 35 into a single shot. Rated 1 out of 5 by Rodbuster from Poor Reliability Bought two of these for the price and capacity. Shot both mags with 165 grain FMJ factory ammo and both mags had failed to feed twice . Okay for range time but I'dget Factory Glock mags for more serious work. Rated 1 out of 5 by Recsueguy from Nice price but constant feed jams on every round. Kinda disapointed. Rated 5 out of 5 by Jason from More fun than a barrel of monkeys. These are such a great price that I had to order two of them. I love how people's eyes bug out when I pull one of these out at the range. Makes my G22 a blast to shoot. Another big plus is that I can easily load all 31 rounds by hand. No loading tool needed.